October 1954. 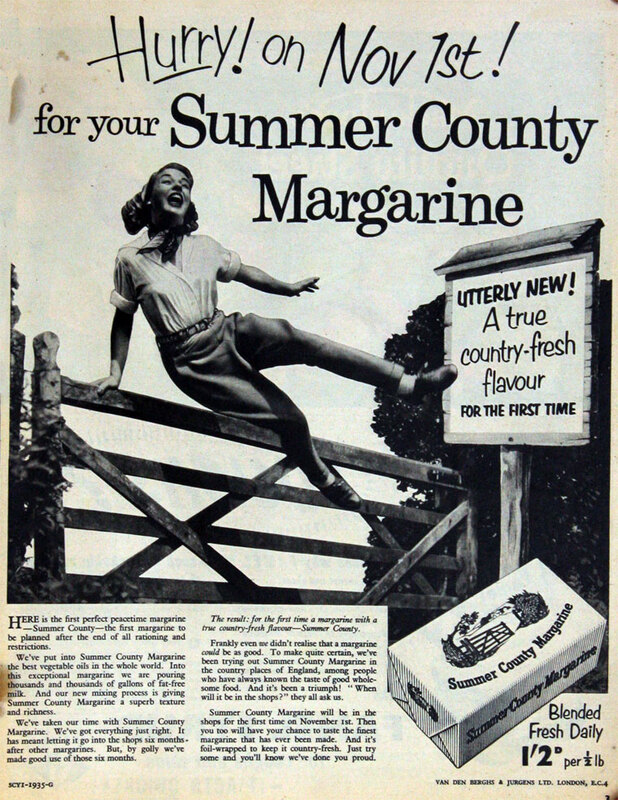 Summer County Margarine. of 82 Fenchurch Street, London. 1869 Margarine was invented and patented by a French chemist. 1871 Jurgens was a butter wholesaler in Osch, Holland who began to produce margarine. Van den Bergh, another butter wholesaler from the same village in Holland, also began to produce margarine. Most of their products were exported, in particular to Britain. 1872 Jurgens and Van den Bergh opened their first factories to produce margarine. 1885 The Van den Bergh Brothers registered a British trademark for their butterine. 1890s Jurgens' Solo and Van den Bergh's Vitello brands of margarine were produced. 1895 The company was registered on 9 March, to acquire the business of Van den Bergh Brothers of London, and Simon Van den Bergh of Rotterdam, Cleves and Brussels, for the manufacture and sale of margarine and butter subsititutes. 1898 Van den Bergh's salesforce numbered 750; launched a new branded margarine: Vitello. 1901 Stork brand of margarine registered. 1908 Jurgens and Van den Bergh agreed to share profits while continuing to compete against each other. 1912 The profit-sharing deal between Jurgens and Van den Bergh was ended but the two companies continued to work together. 1917 Jurgens formed an alliance with Kellogg's in preparation for expansion into North America. Jurgens and Van den Bergh both established factories in England. 1927 Jurgens and Van den Bergh had joined with two other European businesses, Centra and Schicht. Then the two joined to create Margarine Unie - the Margarine Union. The union quickly gained new members, creating a large group of European businesses involved in the production of almost all goods created from oils and fats. 1928 Margarine Unie acquired the French-Dutch Calvé-Delft group with factories in the Netherlands, France, Belgium and Czechoslovakia. 1929 Margarine Unie acquired Hartog's. 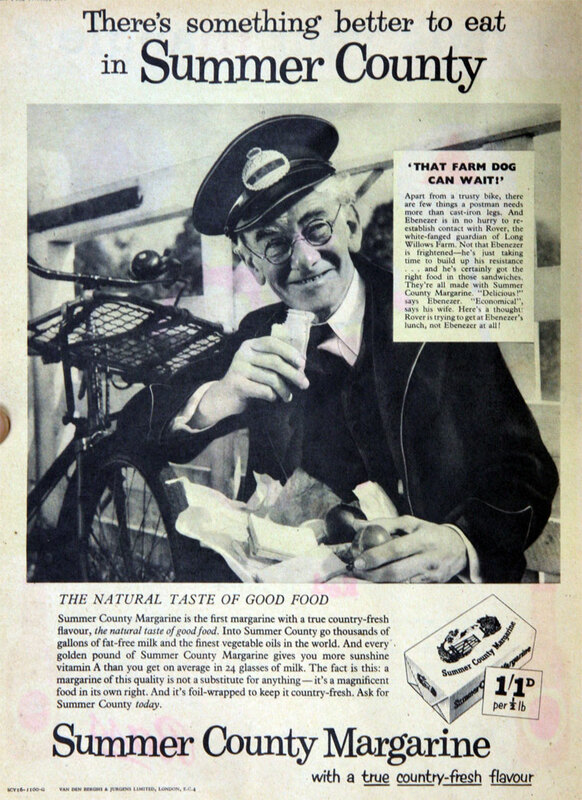 1929 Margarine Unie merged with Lever Brothers to form Unilever. Initially the two partners intended to negotiate an arrangement to keep out of each other's principal interests of soap and margarine production, but in the end decided on an amalgamation instead.